When you think of premium ingredients like uni and Iberico pork, you probably wouldn’t think it’d be affordable. But at PocoLoco, you can get all of this and more for under S$30! The interior is decorated with an industrial feel with the framed photographs along the wall adding a touch of sophistication. There’s lots of natural lighting in the restaurant, which is great news for all you Instagram foodies. PocoLoco even has an open kitchen so that you can peer in and watch how the chef prepares your food. 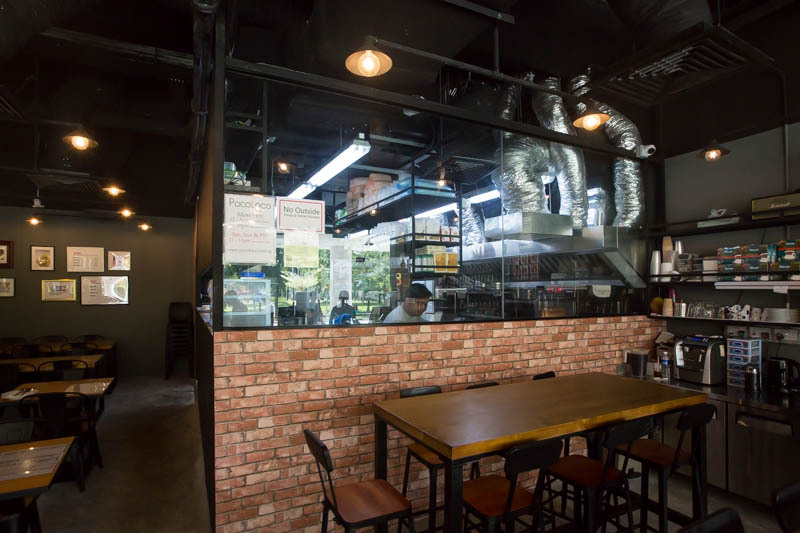 Don’t worry, there’s a glass partition to prevent the grease and smell from lingering in your hair. We started our meal with the Cold Capellini (S$20), a cold appetiser which is recommended on the menu. 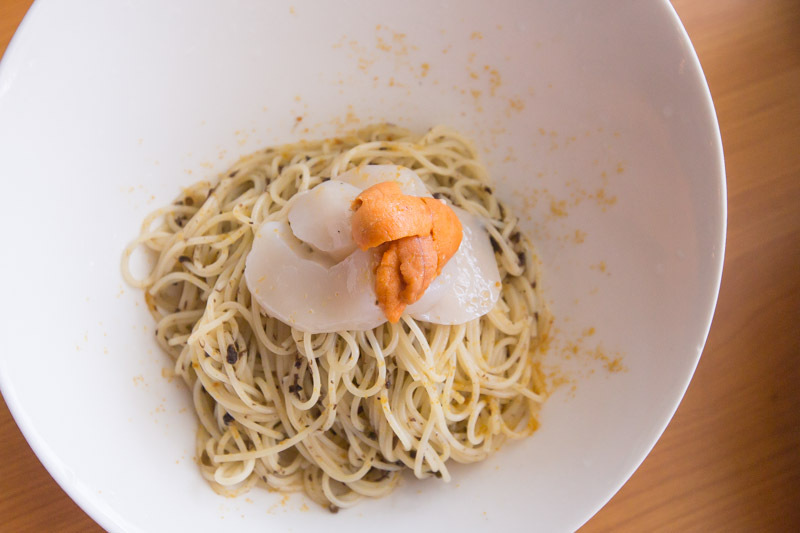 This cold pasta dish came with Hokkaido scallops, uni (sea urchin) and shio kombu (Japanese seaweed), all presented atop cold angel hair pasta with truffle oil. Drenched in olive oil, the al dente pasta had a strong truffle fragrance and a faint earthy taste. The black flecks of shio kombu also added a hint of umami flavour without overwhelming the palate. If you enjoy strong seafood flavours, then you’ll enjoy this dish. Both the soft scallops and creamy uni left a rather strong briny aftertaste that isn’t for everyone. The next dish we tried from PocoLoco was a creamy Uni Risotto (S$20), a simple dish that packs a flavourful punch. I liked that the risotto was quite cheesy but each individual grain of rice was still firm and chewy. 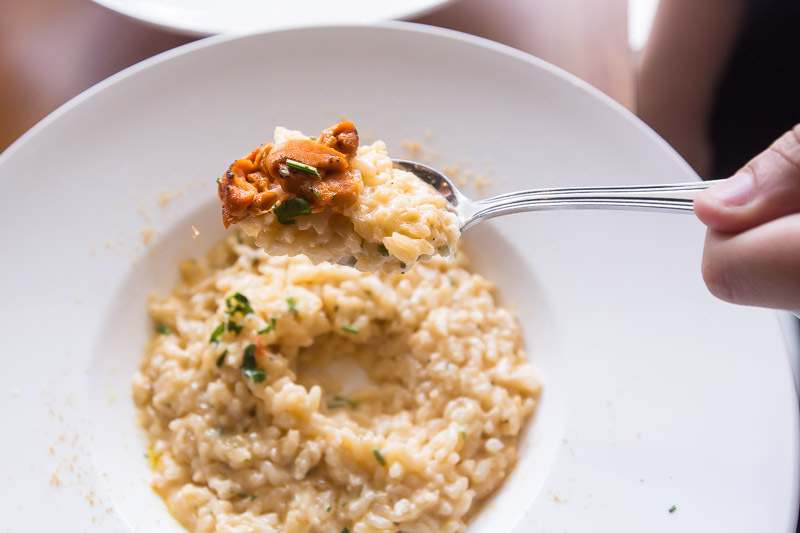 However, the alcoholic content of the risotto was a tad too high for me, which made each mouthful linger with a slightly bitter aftertaste. I’d recommend eating the rich and creamy uni together with the risotto, as it was really overwhelming on its own. 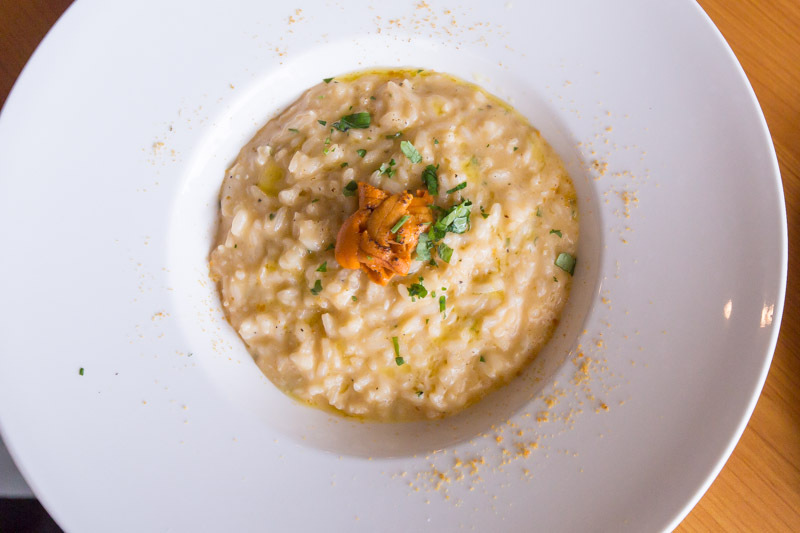 Scooping up some risotto and a smidge of uni helped to mellow the briny aftertaste of the creamy sea urchin. 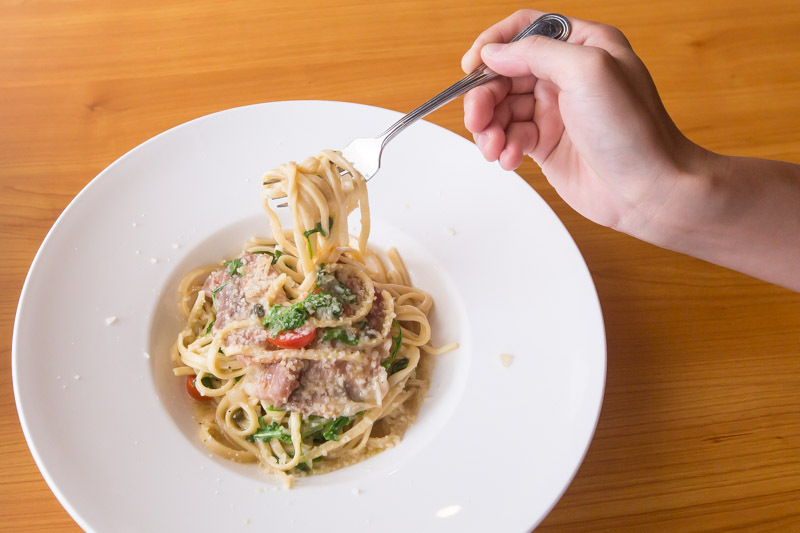 If you’re looking for a pasta with meatier ingredients at PocoLoco, try the Tagliatelle Proscuitto (S$15.90). 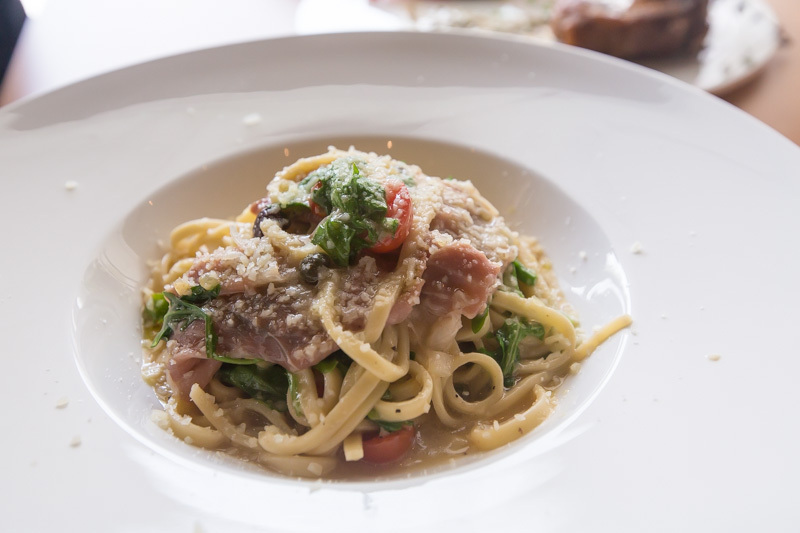 Made from scratch in the kitchen, the pasta comes with parma ham, rucola, cherry tomatoes, capers and olives in veal jus. The ham was succulent and savoury, with a slightly sweet finish. I also liked the hint of fats hidden along the edge of the tender lean meat. 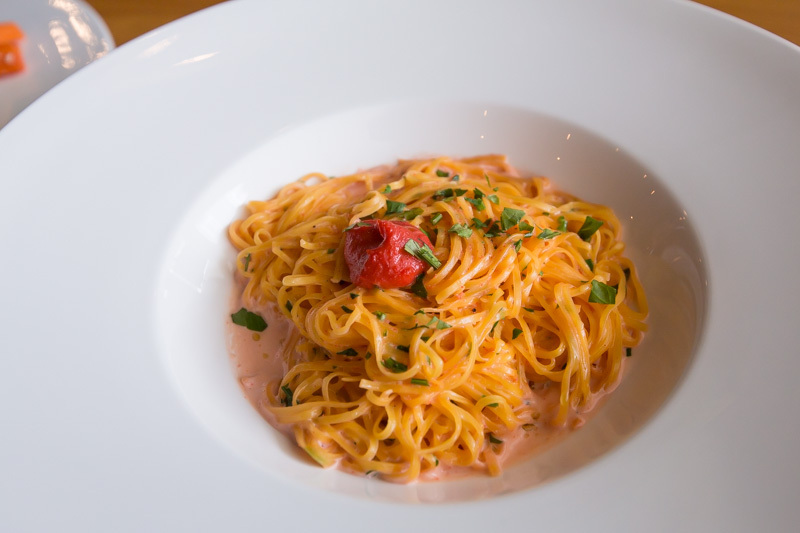 Carb lovers, you’ll enjoy the tagliatelle — done al dente, the chewy pasta was punctuated with the savoury capers and olives, and bursts of tangy and sweet flavours from the cherry tomatoes. 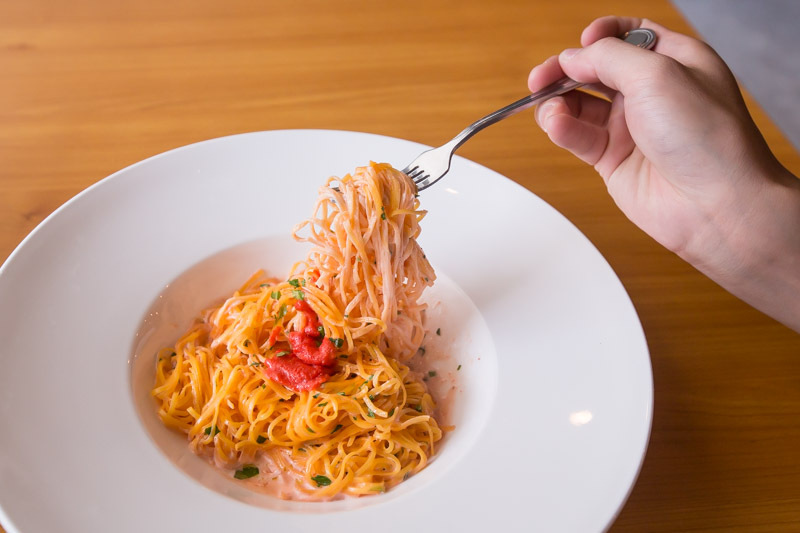 I wasn’t a huge fan of the thick tagliatelle, as I prefer my pasta and noodles thinner, but those of you who can’t get enough of pasta will love this dish. 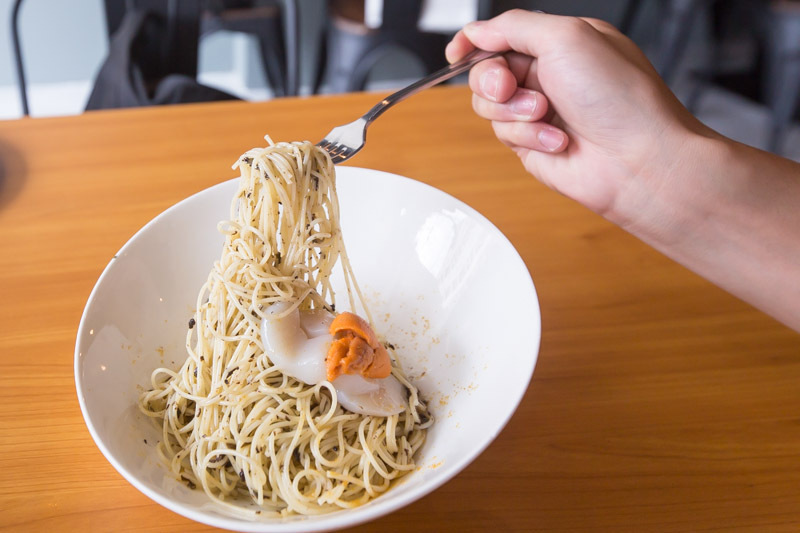 The Mentaiko (S$13.90) was my favourite pasta dish from PocoLoco, and the tagliolini pasta came with mentaiko in cream sauce. I absolutely loved the pasta texture; light and springy, the thin strands still had enough bite to make each mouthful a pleasant experience. 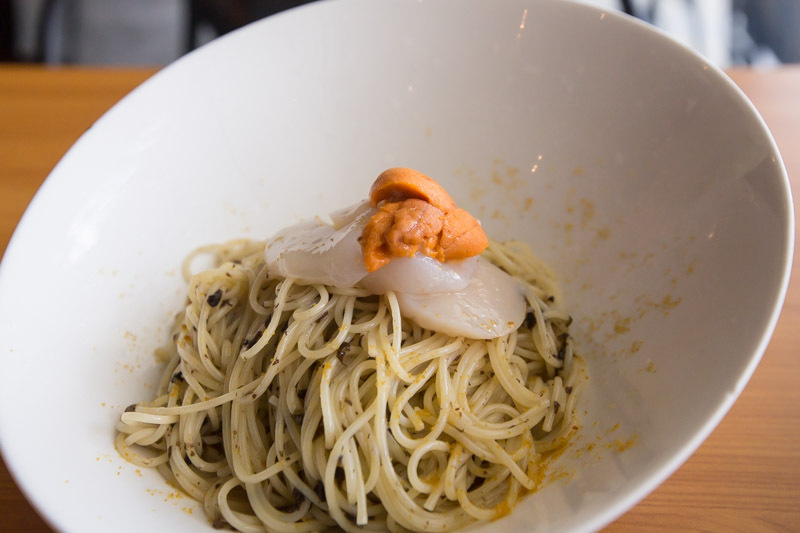 Infused into the cream sauce and pasta, the mentaiko flavour was quite mild. This is great for those who can’t take dishes which are too fishy! I found that the pasta texture helped to offset the flavour a little. The Roasted Pork Rack (S$21.90) was another dish that I really enjoyed. If you’re looking for something meatier and heavier, this is the dish I would recommend. 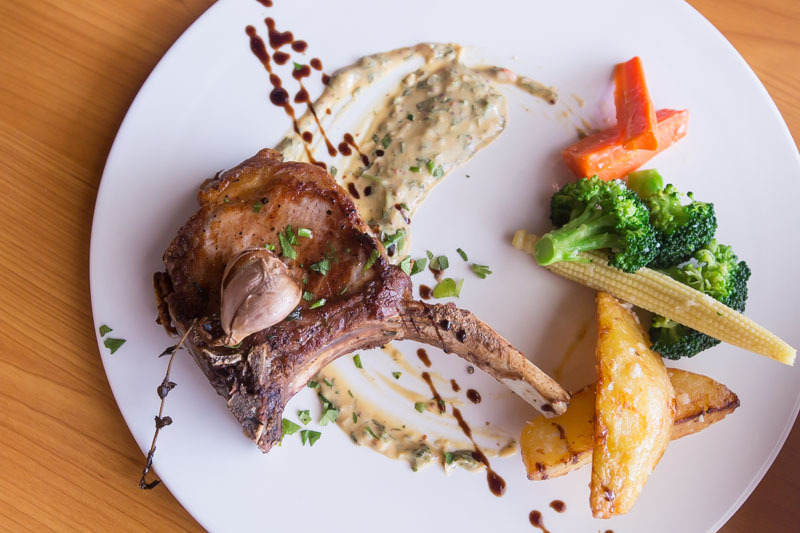 The roasted Iberico pork rack came with salsa verde and sides of potatoes, broccoli, baby corn and carrot strips. The thick slab of juicy and tender pork had a good ratio of melt-in-mouth fats to chewy lean meat, which was bursting with juice and gamey flavour. I liked the potatoes which had a crispy exterior but were fluffy on the inside, because they really complemented the meaty flavours from the dish. 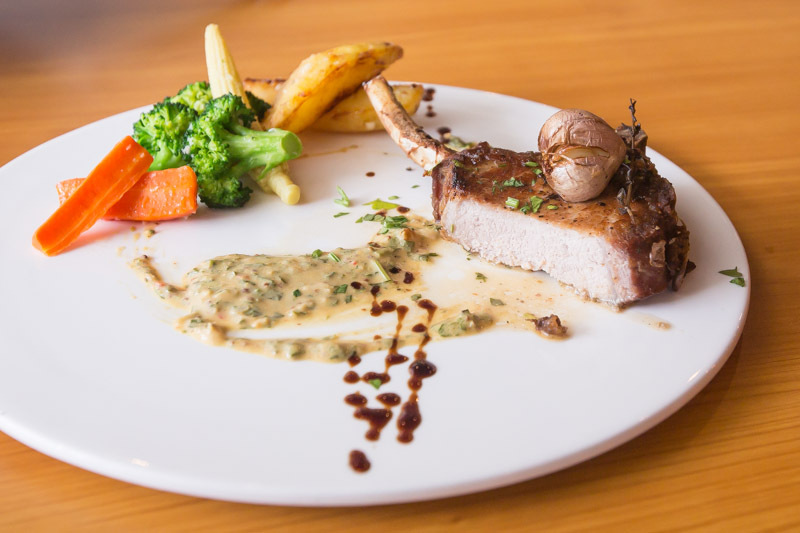 If you’re looking for affordable Italian fare in the heartlands, head over to PocoLoco for premium dishes at a good price point. 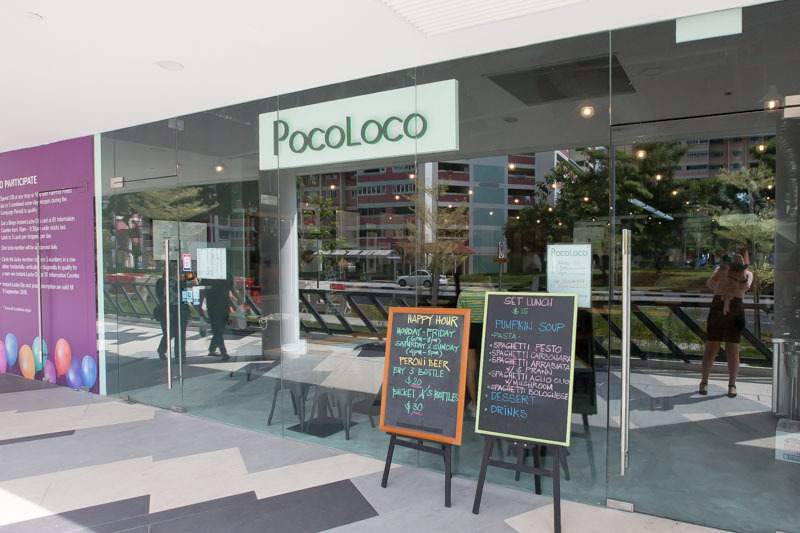 You can find PocoLoco at four different locations: Wisteria Mall in Yishun, Snow City in Jurong, Royal Square @ Novena and in Ang Mo Kio. Some of the seafood dishes can get a little too overwhelming with the fishy aftertaste, so I wasn’t particularly impressed with those. 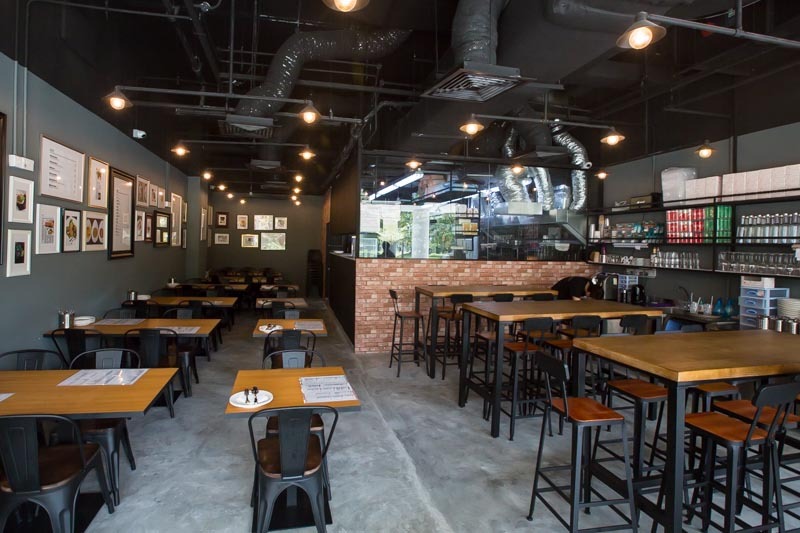 But the relaxed atmosphere of the restaurant makes it a good place for hanging out with friends, so make a reservation for your next gathering.